Fintech – the term coined for financial services technology is an extremely fast-growing industry worldwide. Nigeria is not an exception. In fact, the total global investment in Fintech between 2010 and 2016 reached as high as $80bn. Its evolution can in large part be attributed to ‘disruptors’ – startups shaping the financial services landscape for good. 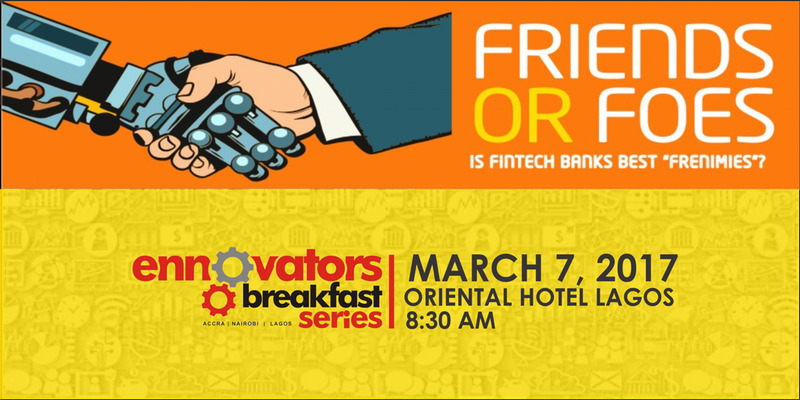 Some argue that the secret to maintaining the industry is nurturing the startups through which new technology is birthed, but with Fintech gradually seeping into the growth strategies of traditional banks, how should bank relate with FinTechs? 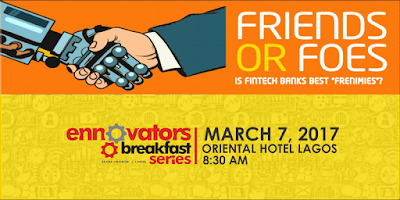 This edition, EBS 1701, will examine how banks should relate with FinTechs. 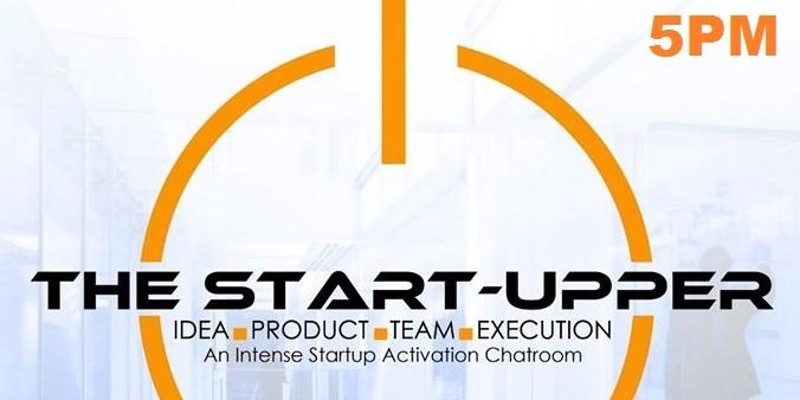 This intense Startup Chatroom will identify and help address both the generic and the specific critical success factors for startups. It will provide a networking platform for early stage businesses, investors and knowledge experts. There will be deep insights and compelling stories of self financing models from people who have done it and have supported others to do same. The Start-Upper is a quarterly meetup of like minds and industry practitioners and have previously held in Port Harcourt, Uyo and now to be held in Abuja. Limitted Spot available, please do not book ticket if your participation is not confirmed. 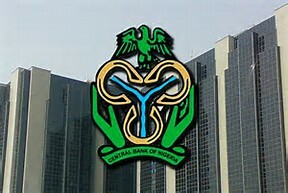 The Central Bank of Nigeria continued its intervention into the forex market by pumping additional $180m into the market for settlements of various transactions.The sum of $100m was released into the wholesale forwards segments of the market,additional $80m was provideed to banks specifically for the settlement of dollar demands for schhool fees,medicals,and Personal Travel Allowance. The Central Bank of Nigeria last week intervened into the Forex Market in Nigeria through the Interbank foreign exchange market. Ten banks got $162.8m on a rate of N330 to N360 per dollar on a 30 days tenor.6 banks got $58.52m dollars on a ratio of N315 to N320.50 per dollar for a tenor of 60 days. The CBN interverntion will enable forex readily available for personal and business travels,medicals,and school fees. 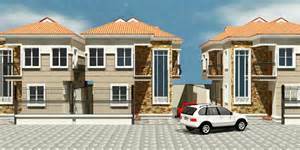 Federal Government in a statement made it known though Ms Oyo-Ita that it would embark on a N13 billion Mortgage loan.The scheme is being executed by The Federal Government Staff Housing Loans Board,The Federal Integrated Staff Housing(FISH) programme and the Nigerian Mortgage Refinance Company Plc(NMRC). As at today,about 1,350 houses have been uploaded on the 'FISH' programme.The houses are mainly in Lagos and Abuja.More locations are to follow. 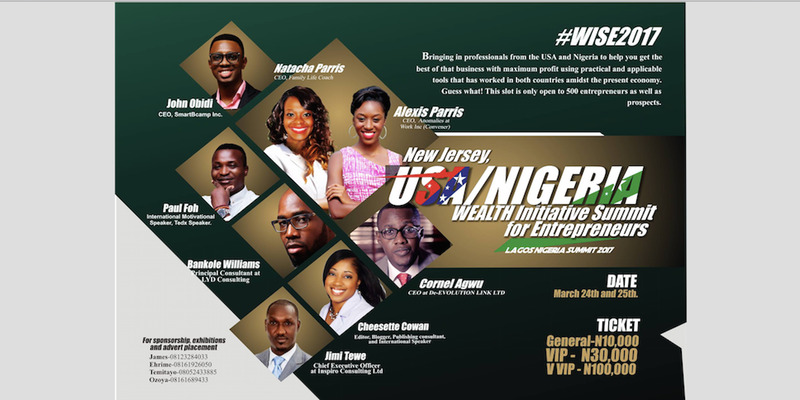 Wealth Initiative Summit for Entrepreneurs is an initiative birth from deep thoughts and reflection on economic expansion and wealth creation, many businesses dies not in the lack of ideas but deficiency and compromised ability, focus, drive and executable tools. First of its kind in this region is an epoch summit structured to reposition that dwindling business as the right consultations has been made to circumvent the loop holes through practical, life implemented and applicable strategies both from the USA and Nigeria. 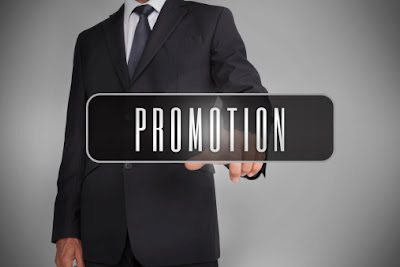 In this regards, experts has been partnered to help you learn how and what action plans need be taken in sustaining your business in the present economy. Making profit is one thing but maximizing your profits for expansion requires initiative and proactiveness. This summit gives you an opportunity to meet with top executives and professionals who made several digits in an unstable business environs and you will have a platform to share constructive ideas applicable for your personal and business development. Vice Dean Catherine Duggan will lead sessions on how changes in the global economy are creating new challenges and opportunities for African firms and investors, and how innovative startups are helping to solve some of the continent’s toughest challenges. You will emerge with insights about the state of the world and Africa’s position in it, inspirational stories about Africans doing well by doing good, and framework for helping to build critical thinking skills. 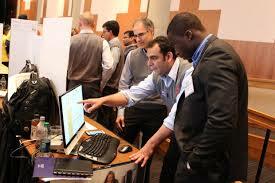 Each session will conclude with a networking mixer for rising managers and seasoned business leaders. Attendees interested in the ALUSB MBA for themselves or for their employees will be able to speak with representatives from the business school. Connect with other rising professionals and seasoned business leaders. Learn how changes in the global economy are creating new challenges and opportunities for African firms and investors. Analyze how innovative African start-ups are helping to solve some of the continent's toughest problems. Glean insights about the state of the world and Africa's position in it. Learn about inspirational stories of Africans doing well by doing good. Discover a framework for helping to build critical thinking skills and leadership capacities for your teams. Volunteers wanted:The United Nations Volunteers(UNV) programme is asking for volunteers. UNV contributes greatly to peace and development by working with volunteers and partners throughout the world. Over the last two decades of building and running businesses, and the last couple of years working full time with dozens of startup founders and CEOs on their strategies and funding plans in my consultancy business, I have observed that there are a common set of reasons that startups struggle and fail, and a consistent set of factors that make startup companies successful. I wondered if my observations were supported by hard data, and my curiosity around startup success and failure eventually got the best of me. I decided to do some in-depth investigation around this topic. 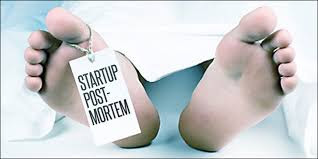 I wondered if there were any research studies that showed why startups succeed and fail? I found several articles that were filled with unsubstantiated opinions and a few sources that had really great hard research around the topic. If you look at both the reasons for failure and the factors for success, it is clear that commitment to a plan is key. This, of course, implies having a plan. This does not mean that you are completely inflexible, but you can stay the course. This is why the most successful companies have one or two pivots. I do not think that every little business adjustment or fine-tuning as a pivot. A true pivot is a change in course of direction that results in a material change in the product-market strategy. It could be along the product axis or the market axis, but it has to be enough of a change that it really requires an adjustment in strategy and a corresponding adjustment in resource allocation. At least, that’s my definition. Passion and motivation are the obvious factors. Every entrepreneur, business coach, consultant, advisor, newscaster, investor and industry analyst talks about passion. Steve Jobs is quoted all the time about this. It’s probably become too cliché and overused at this point. Towards the end of last year, Nigeria welcomed a number of high-profile Silicon Valley investors. Of a sudden, what seemed to be a mere initial interest in Nigerian founders has climaxed to actual investments from these investors. 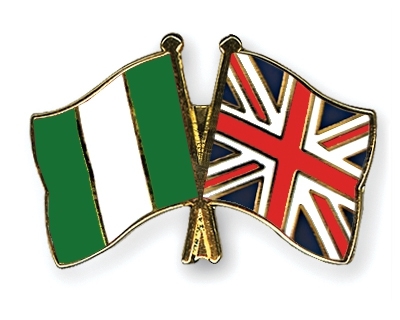 Early into the new year, Nigeria is already looking to welcoming more investors into its shores. 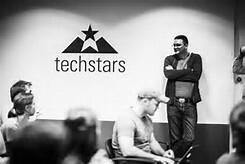 Following in the footsteps of the likes of Mark Zuckerberg, 500 startups, and Y Combinator, is Techstars Atlanta. Tyler Scriven, the Managing Director, will be travelling with the Ingressive’s Tour of Tech between February 27th to March 4th, and interestingly, Lagos, Nigeria is his first stop. On February 27th, Tyler will be among the Social Media Week panelists, where he will be speaking on the topic, “Investing in Digital Media.” Also, one can sign up to meet with Tyler during his startup office hours. The expected arrival of the Atlanta-based investor is an attestation to the rich history of talented and globally minded entrepreneurs in Nigeria. These facts are not lost on Tyler, as he will be visiting Lagos with the hope of identifying companies to participate in Techstars Atlanta’s upcoming Accelerator program in July, where they would receive a $120,000 investment and be surrounded by world-class mentors. Techstars Atlanta selects 10 to 12 companies per year to invest ($120,0000) in. The companies are invited to Atlanta in order to participate in an intense 3-month acceleration program. Last year, the accelerator programme hosted high-profile founders such as John Collison (Founder of Stripe), Satya Nadella (CEO of Microsoft), Aaron Batallion (Founder of Living Social) among others. A source who was at the meeting said the new rate for school fees and PTA would become effective from Monday. 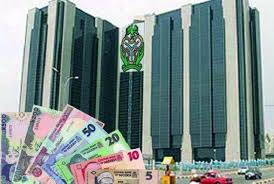 According to the source, the CBN Governor, Mr. Godwin Emefiele who chaired the meeting, assured that the central bank would provide enough dollars to meet all FX demands for these invisible items. 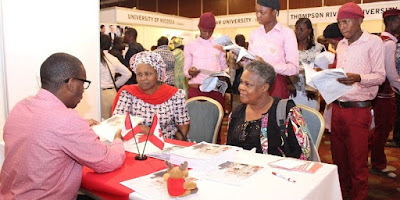 “For tuition fees, the CBN said it would only cater for those in the universities and the persons involved can only get $15,000 per term and the FX would be wired directly to the school abroad. We (the banks) were all told to ensure compliance and that heavy sanction awaits any authorised FX dealer that flouts this rule,” the source added. THISDAY also gathered that applicants for FX for tuition fees must have tax clearance certificates and Bank Verification Number. The move, according to another source is to drastically reduce FX round-tripping which appears to be one of the factors responsible to the wide gap between the interbank FX market and the parallel market. On the other hand, for PTA, the source said: “People are entitled to PTA only if their flight(s) is not less than five hours and they are only entitled to $4,000 per quarter. Emefiele had while making a presentation to members of the National Executive Council (NEC) on Thursday appealed for patience, saying that the CBN was working on halting the widening gap between the interbank FX market and the parallel market. The NEC members had generally expressed concern over the current situation of the exchange rate and called for an urgent review of the current forex policy, especially the gap between interbank and the parallel market rates. But Emefiele sued for patience and understanding, assuring that the situation was being closely managed. 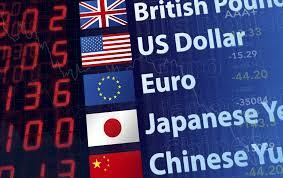 Meanwhile, the Naira maintained its value of N516 to the dollar on the parallel market yesterday. United States President Donald Trump have put up his old Cadillac limousine for sale in Gloucestershire. According to reports, Trump’s old special edition Cadillac limousine is available for sale at Fifty Thousand Pounds (£50,000). 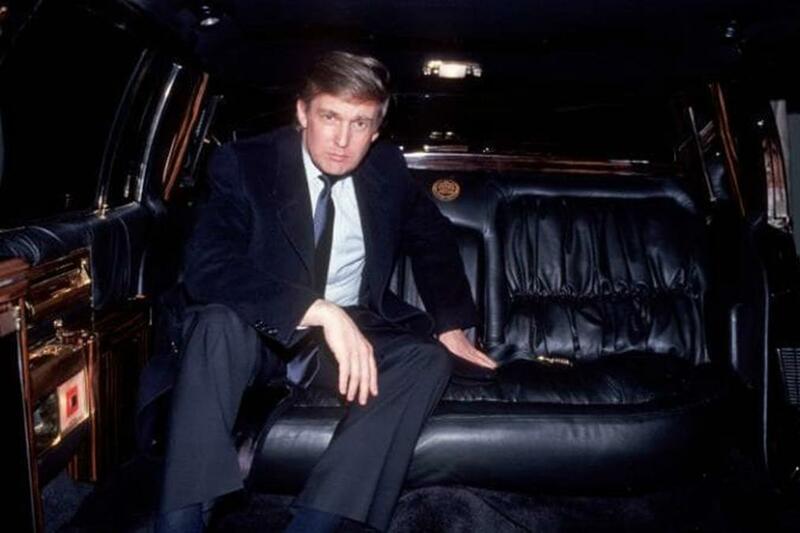 Donald Trump's Cadillac Limo was manufactured in 1988. The limo was professedly utilized by a relative - presumed to be his dad - before it landed in the UK in 1991. Furnished with a 5.0-liter petrol motor and a programme transmission, the Cadillac Trump limo has 45,000 miles on the odometer and is in good condition. Obviously, the inside is done with fine cowhide and rosewood trimmings, and even contains extravagance augmentations, for example, a beverages bureau, a paper shredder and a fax machine. It is about 30 years of age, all things considered. And keeping in mind that it is suspected that Trump customized the interior components, things like the steering wheel and the door handles don't seem to have been adjusted for use by kids, or grown-ups with little hands. So if there's anybody out there intrigued by securing a strong piece of American political history, this is a chance to yank enthusiastically by the hand. The national roll-out of the service which is set to hold on the 20th of February,in Abuja, will officially introduce the mobile electricity systems into the marketplace, making it easier for Nigerians to access the revolutionary product. Marketed as Lumos Mobile Electricity Service, powered by MTN, the solution promises to be a catalyst for growth, poised to improve the daily lives of Nigerians. With this innovative product, Nigerians can enjoy accessible, noise-free and fume-free electricity for everyday use and conveniently pay with airtime from a MTN mobile phone. The mobile electricity device which comes with a 5-year warranty, can light up bulbs and power appliances like fans, televisions, cellphones and computers. Commenting on the partnership with LUMOS and the product, CEO MTN Nigeria, Mr. Ferdi Moolman noted that over the years, MTN Nigeria has launched a variety of technology-driven products and initiatives which have helped to improve the lives of Nigerians, solve problems and encourage intelligent minds with brilliant ideas to achieve more with natural resources. “Our partnership with LUMOS was borne out of the need to provide safe, affordable electricity alternatives for Nigerians to uninterruptedly conduct their daily businesses. We at MTN value lives and the overall wellbeing of Nigerians and we’ll continue to put out initiatives that focus on providing life solutions,” Moolman added. The first of its kind Mobile Electricity kit comprises of a solar panel, an indoor power unit, phone charging accessories and 2 LED light bulbs. 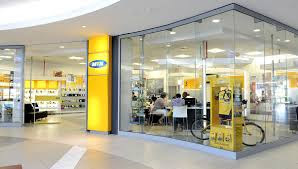 The kit can be purchased at MTN stores nationwide. 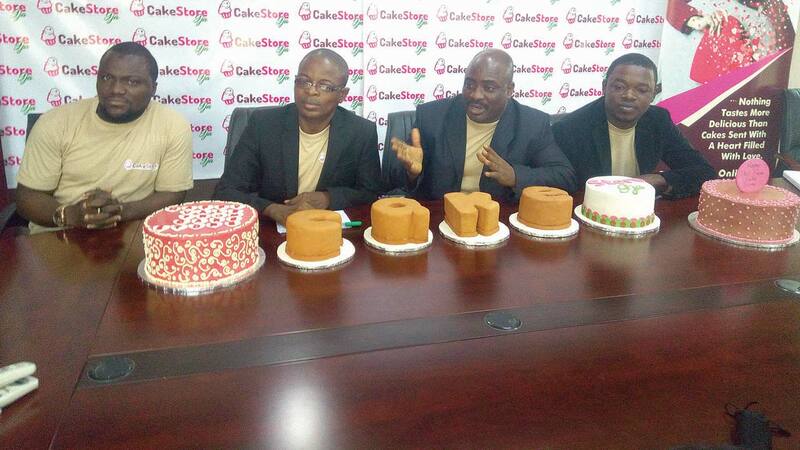 Nigerians in need of quick cake delivery service can now heave a sigh of relieve as CakeStore9ja has been set up for a better and faster service. This service is likely to beat the traditional cake option, as it is the first of its kind in Nigeria. The director also said the company had partnered with NAFDAC and other consumer protection bodies to ensure its cakes are healthy for consumption. In South Sudan, most people don't have a TV. They rely on radio to get information. But limited access to power means entire communities of are left in information darkness for days at a time, especially in remote areas. One man is turning to the sun to change that. 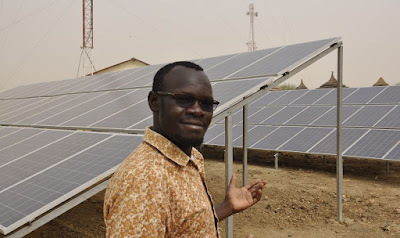 Issa Kassimu, an electrical engineer, came up with the bright idea of setting up the country's first solar-powered local radio station, Mayardit FM. Since March 2016 the station has been running on sunshine. Mayardit FM is not only changing the media landscape, it is also transforming people's lives. Vulnerable populations in South Sudan are very isolated and any kind of information darkness can have a devastating impact. Since South Sudan's independence in 2011 more than 2.5 million people have been forced to flee their homes due to conflict. The majority of them, almost 1.6 million, are internally displaced and reliant on word of mouth and radio to find out how to access food, water and shelter. "We used to spend $22,000 a year just to maintain the generators. In those remote locations, fuel is two to three times more expensive than the cost in Juba, so I thought of something that could at least be sustainable," he said. While Mayardit FM relies on solar power, most radio stations in South Sudan depend on generators for electricity — because only 1% of the population has access to the country's electrical grid. These generators regularly break down due to the unstable energy they produce. "Once a generator breaks down, it would take me up to five days to fly to the location and fix it. And the radio would remain off air," Kassimu says. The project is run by Internews, an NGO funded largely by USAID that aims to empower local journalists and develop the capacity of media outlets. South Sudan is one of Internews's biggest projects. "The illiteracy rates in South Sudan are incredibly high," says Steven Lemmy, the Radio Community's Senior Broadcast Engineer. Adult illiteracy rates are around 30%. Naturally, great experience comes with tremendous wisdom. 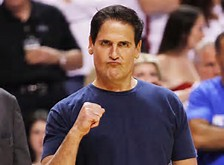 Here are 25 quotes from this inspiring entrepreneur, Dallas Mavericks owner, and Shark Tank investor that are worth pondering over. Many Nigerians are not keying in on emerging investments opportunities in critical areas like agroallied processing and agricultural products storage, education and human capital development and electronic payment platforms. Meanwhile these sectors represents new investment frontiers aided by growth in technology, government’s keen interest to drive growth in their value chains, relative ease of securing private capital and a yawning supply gap. These are the views of experts who made presentations at the Vantage Forum 2017, an annual entrepreneurship advancement initiative organised by the Elevation Church in Lagos on January 26. With unemployment rate at about 13 percent and underemployment rate of 19 percent, for over 61million Nigerians without gainful employment, an ability to scan the environment for opportunities and sharpen their entrepreneurial skills are now winning skills. Doyin Salami, economist and faculty member at the Lagos Business School in his lead presentation said Nigeria’s current economic recession masks opportunities for discerning investors. In his presentation, Okey Enalamah, minister of Trade and Investment represented by Toyin Adeniyi, a director at the Bank of Industry (BOI) said that government has left the planning stage and is now diversifying the economy to insulate it from external shocks and increase investors’ confidence. With a mandate to improve the ease of doing business by 60 places before 2019, Enalamah said the ministry’s strategy is built on implementing Nigeria Industrial Revolution Plan (NIRP), providing support for Micro Small and Medium Enterprise (MSMEs) and support digitisation of the economy. “Short-term headwinds should not becloud the fundamentals of a strong market, as government is seeking to partner private capital to diversify the economy,” said Adeniyi. Enalamah said the government is tackling the current poor macroeconomic performance of the economy by making the economy more inclusive, tackling export dependent nature of the economy with diversification and increasing investors confidence to encourage foreign direct investments. Godman Akinlabi, lead pastor of Elevation Church while responding to questions from journalists said government can find ready partners in leaders of faith-based organisations who are ramping up social programs to tackle societal ills. Akinlabi said government is missing out an opportunity for more robust, inclusive ideas to develop the society as these leaders have potentials to contribute developmental ideas and even sell government’s programmes better to the people. John Obaro, CEO of SystemSpecs said government’s drive towards digitising the economy signifies opportunities to advance technological knowledge in areas that will solve practical problems for in Nigeria. However, 80 percent of new businesses never make it out of the start-up stage despite leveraging technology. Ndidi Nwuneli, founder of LEAP Africa in her presentation said a possible reason is because some are not running demand-driven businesses, poorly leveraging the power of technology, and failure to instilling corporate governance practices which limits access to funding needed to lead their business to scale. Salami said that entrepreneurs who will remain in business despite the current challenges will adopt three key strategies: improve in their knowledge of their customers, competitors and remain persistent despite headwinds. However macroeconomic challenges still poses a threat. 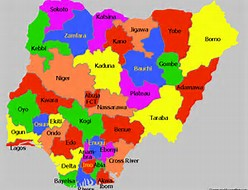 Nigeria’s inflation rate rose to 18 percent in December even as prices of basic commodities soared by over 50 percent. Inefficient exchange rate management has seen over about eleven different exchange rates providing inefficiencies and ‘opportunities for bad behaviour,’ according to Salami. “The solution is implementing fully the Monetary Policy Decesion reached last year to liberalise the foreign exchange market. The guidelines were in place and the market started but because of the acute problems of the supply side we have not implemented the framework as articulated. “I know people are worried that if we allow it, to what level do we allow the currency to depreciate, but there’s nothing that says also that it will not appreciate. The United Kingdom, UK, is making plans to amend its border control system to benefit citizens from 52 Commonwealth countries, including Nigeria. Forty-five members of the UK parliament said Commonwealth countries may get fast-tracked visas to the UK after Brexit if the proposal sails through. UK Telegraph reports that the suggestion was made in a letter addressed to the home secretary, Amber Rudd. The letter read, “I am writing to urge you to extend the hand of friendship to our Commonwealth partners. Another suggestion made was that Commonwealth citizens be allowed access to the registered traveller scheme, which would allow them access to use UK/EU lanes and reduce time spent waiting in line. They added, “Finally, access to the Registered Traveller Scheme should be further expanded to include additional Commonwealth countries. This programmee, predominately aimed at the business traveler, allows some foreign nationals who meet specific requirements to register and use the UK/EU lanes and e-passport gates, dramatically reducing the time spent waiting in line.